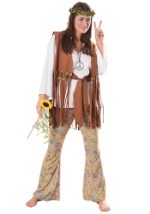 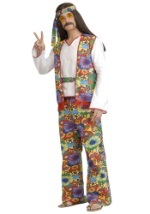 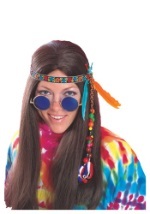 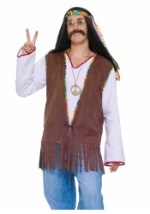 Enjoy the music of the 60s in this Adult Woodstock Costume this Halloween season. 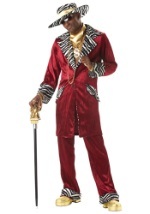 This two-piece costume includes a pair of bell bottom pants that have an elastic waistband for a secure and comfortable fit. 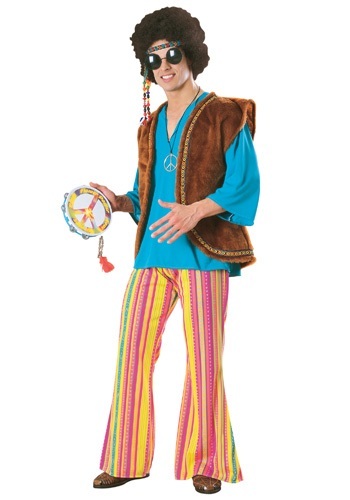 The pants have neon colors including green, pink, orange, yellow and purple with grey shapes running vertically down the pants. 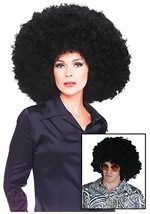 The blue, polyester shirt has a v-neck neckline and a black back. 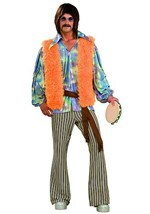 A brown, fur vest is attached to the shirt and is trimmed in the same fabric as the pants. 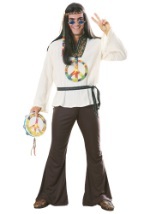 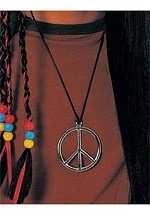 Add our peace sign tambourine and necklace to create your own 1960s music!